Nowadays, it is not always enough for a company to rely solely on its name. In the name of further brand recognition, many companies elect to design and use a company logo. With some of the more famous and established companies, the logo itself is recognizable as a symbol of the company. In those examples, a company’s logo becomes so iconic as to even serve as a shortcut for the company’s name. Of course, designing a company’s logo is no small matter. Like other things, it is quite the undertaking to design a logo, particularly if that logo is meant to represent the company. So if you happen to have a hand in designing a logo for a company, there will be some things you would have to watch out for. What are Company Logo Designs? Put succinctly, a company logo is a symbol representative of a company. You may recall some particularly famous iconic company logo designs used by some of the most well-regarded companies in the world, such as Disney, Coca-cola, Nike, to name a few. In these examples, the company logos become so iconic as to be automatically associated with the company and its name. For most people, you have but to show them the icon, and they can recognize it even if they do not know the company’s name. Of course, that might actually be the point, as a company’s logo really does exist to help promote the company’s name and image. If anything, it is a useful tool for the company’s marketing purposes, as the company can become more identifiable thanks to a famous logo. Abstract – This is an approach seen more in recent years, but has occurred even in well-established companies. 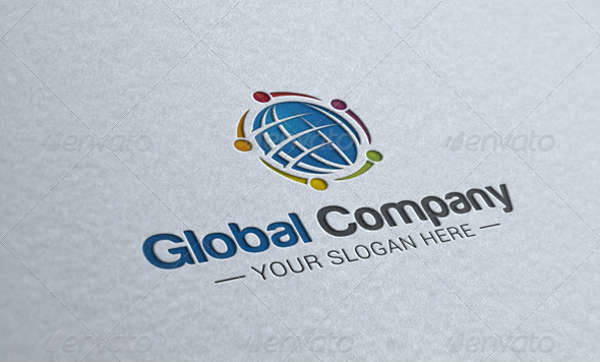 Rather than choose a logo that has a clear connection to a company’s business or name, they can elect to choose an abstract logo. This is a valid approach, like any of the others, but one difficulty you should keep in mind is that it may be difficult for most viewers to memorize your logo if it is abstract. Service-Related – Your logo may represent something related to whatever service it is you provide. This is obviously most related to the service industry, such as cleaning or courier companies. If you prefer this approach this would be an obvious, easy-to-remember logo that clearly follows from the service that you provide. Product-Related – Of course, you could choose to design your logo around one of your products, particularly if it is a flagship product or something for which you gained a great deal of recognition. One example that comes to mind is a burger restaurant using a burger logo design. This could be an effective logo, as it automatically associates you with a prestigious product for which you are well-known. The recognition of the product and the company can feed into one another, such that the company and product both become so intertwined that one implies the other. Name-Related – In this case, the company’s main logo gains its recognition from a famous name. This can happen in the case of companies named after their founders who subsequently become prestigious, such that the founder’s name becomes inseparable from the idea of the company. This is the case with many prestigious, old companies whose names came from such founders. As the company grows in prestige, its brand grows along with it so that its name can become a household name if its prestige grows enough. Simple – Your logo would naturally have to be a simple one. A simpler logo would be easier to understand, and would therefore be easier to remember. That would obviously be of use when it comes to your brand recognition as people can more easily bring your company to mind when need be. An overly complex logo would likely defeat your purpose; if it were more complicated to draw or write, then it would be harder to replicate in people’s minds. That would make it much harder to memorize or call to mind. Short – If you happen to add a slogan, or use the name of a product, it would help if the name was as short as possible. Some of the most iconic product names are made up of as few as one or two syllables, so that it is easier for people to remember the names. A longer name may not be impossible to remember, but a shorter would be easier, and if you are a relative newcomer, you would need every advantage you can get your hands on. Distinct – You naturally would want your company and brand to stand out in the crowd. There may well be other companies in competition with yours, and not a few of them will likely be older and better established than yours. In order to stand out, you would not only need to provide something your competitors do not, but also have a distinct brand identity. This would allow prospective customers to recognize you on sight, keep you distinct from the competition. If you really want to stand out, it really would help to have a brand that is uniquely your own which can easily be distinguished from others. This can also tie into a specific business, the better to make you recognizable, such as a creative pharmacy logo design. Food Company Logos – A food company would have a need for a logo if it wanted widespread recognition. Given that supplying enough food is still an issue in some places, it would be to the benefit of many people if a food production company were to be able to supply more food to more people. Such a company may find it easier to find a market with an iconic enough logo that could gain it more attention. Production Company Logos – Breaking into most industries can be a difficult prospect, and that is true of production companies. Despite the name, production companies’ business revolves around the production of performing arts, and breaking into such an industry can be difficult given the number of similar, more established companies. Still, it is not impossible for younger, fresher companies to succeed, and such a company may have an easier time doing that with the help of a logo that can increase awareness of the company. Some of the options available to you in this case include music logo designs, if that is your particular area. Transport Company Logos – Transportation can be a difficult business; it does not make the job easier when a great deal of the time is spent being responsible for someone else’s goods. It too can be a difficult field to break into, but like many others, a logo can help make opportunities. A good reputation mixed with a recognizable brand can make a great deal of difference. Technology Company Logos – Some people find it difficult to understand certain jobs, particularly if the job is a technical on many laymen do not fully understand. People may find it easier to understand the job and what a given company provides with the help of a logo. Given that some logos can be related to what a company does, it is not impossible that the logo can serve as a shortcut to explain the company’s purpose to laymen. Company logos are an invaluable tool for a company to have; it is a rare company that does not care about its brand. No company can really get very far without a unique look that sets them apart from others like it. If anything, a logo is something indispensable that can help a company spread its name, which any company would find an attractive prospect.